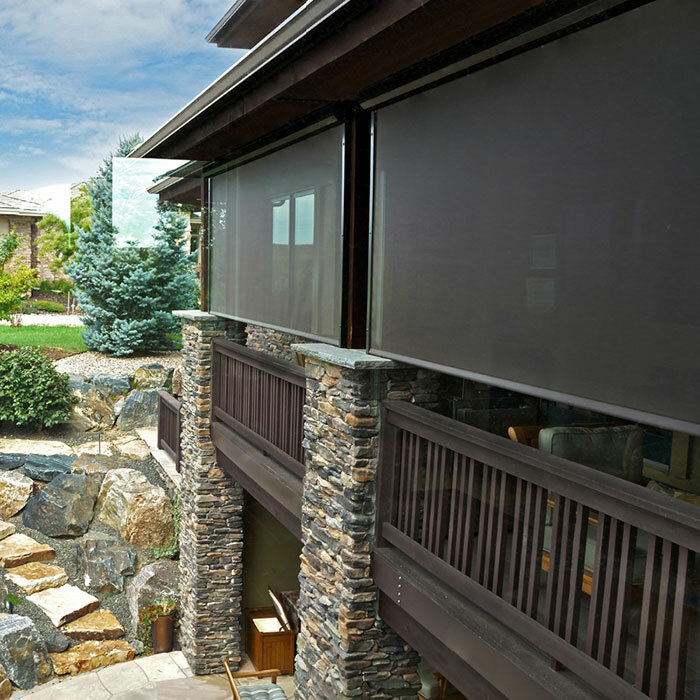 Insolroll is a premium window and patio shading system that is tailored exactly to your space and style. 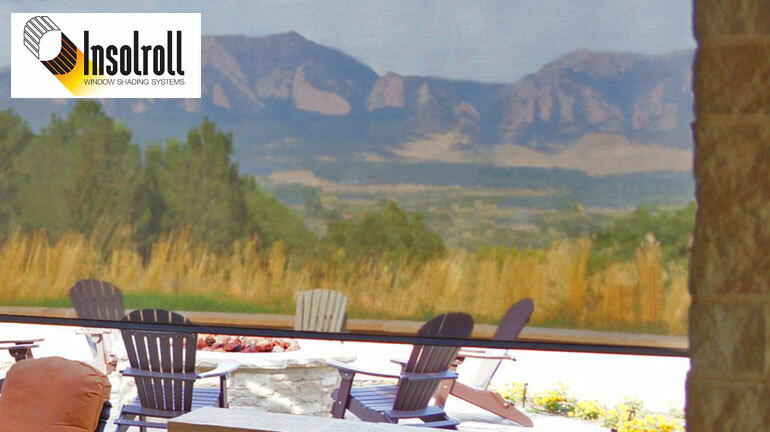 Block the sun but not the view with Insolroll solar screens; available in over 40 color options to enhance your space while keeping it open. 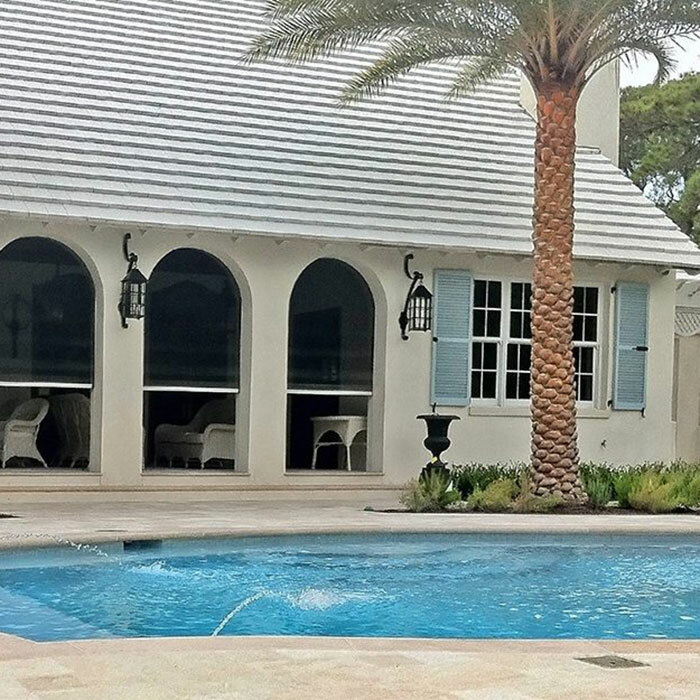 Insolroll shade systems are proudly manufactured in the USA by a team committed to producing inventive window and building equipment every day. 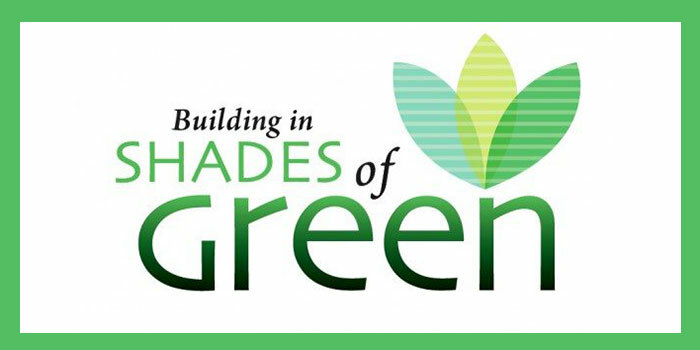 State-of-the-art development and testing by Insolroll leads to the most efficient, quality driven shade systems. Each shade is individually checked and tested before shipping to ensure all standards are met. 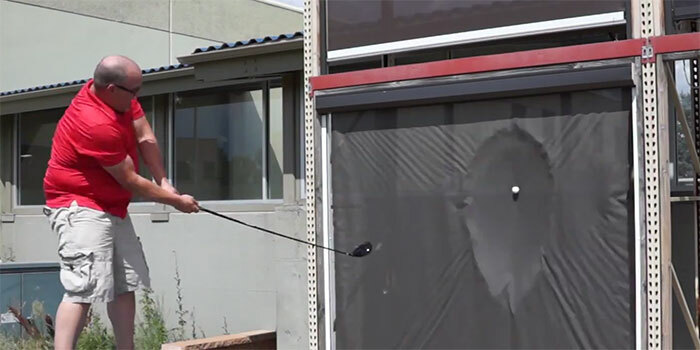 Insolroll shades are even built to be golf ball resistant! Insolroll hears consumer requests and then strives to meet those demands. 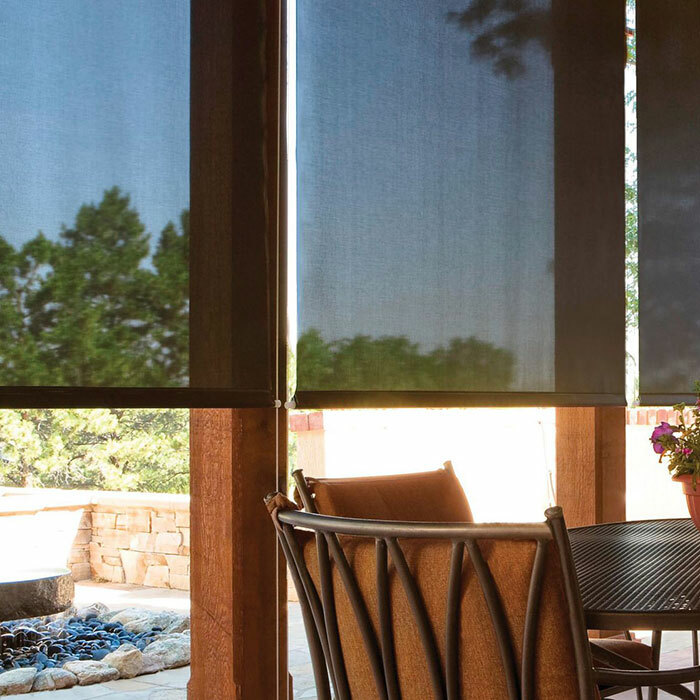 Developments such as motorized operation, high-performance fabrics, and full insect protection are a few ways Insolroll works to be the best in shade systems. 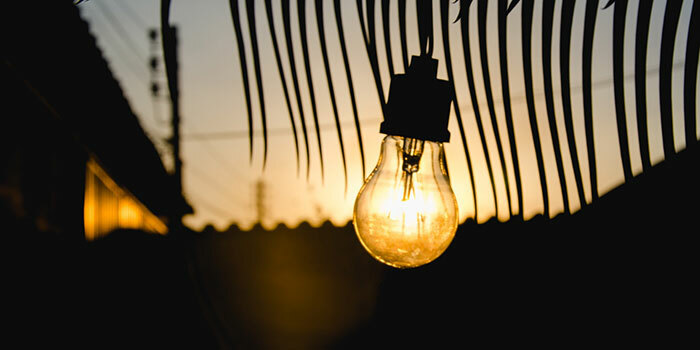 Insolroll is committed to sustainability and works with recycled material to craft their Solar Screen Shades. Insolroll also aims to lower energy use by blocking the heat from the sun, but still allowing the natural light. 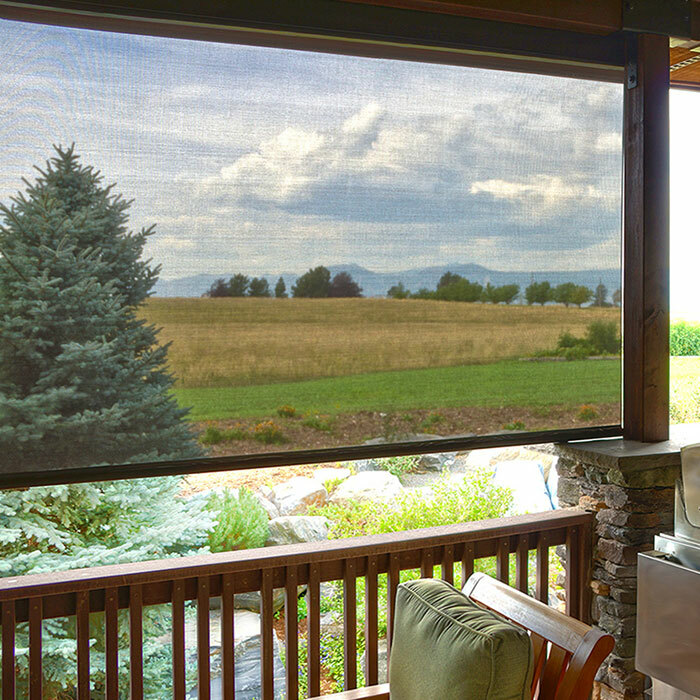 Insolroll Oasis 2600 offers added protection from heat and sun glare, all while giving you an added sense of privacy. Available in 40+ fabric colors with a bungee tie down system. Insolroll Oasis 2650 is similar to the 2600 system with one upgrade – Locking cable guides in place of the bungee tie down system. 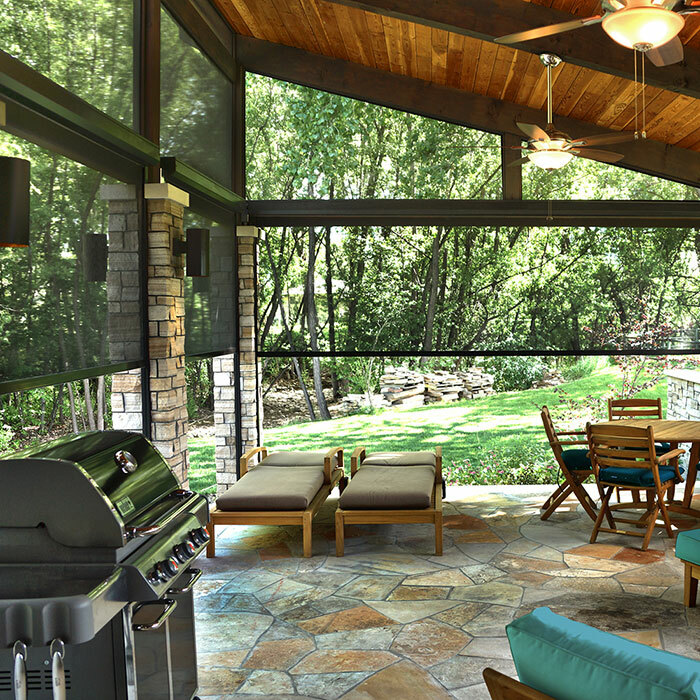 The Oasis 2800 system offers heat, glare, and golf ball protection all while adding a level of privacy to your patio. This system is available in 40+ fabric options, and has 3 choices. 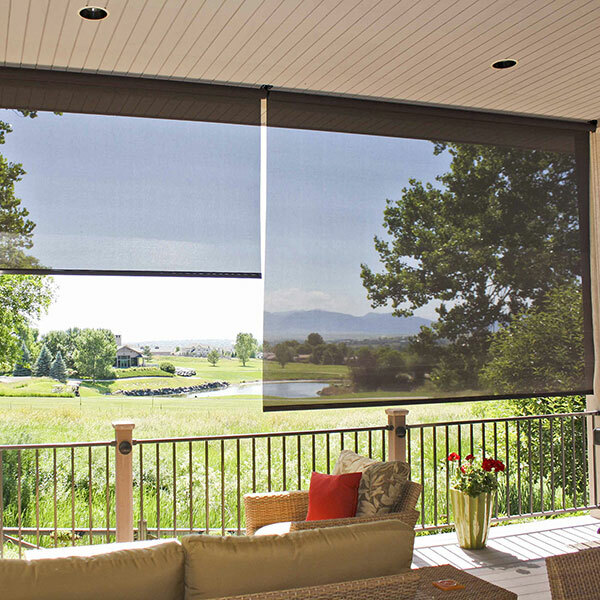 The Oasis 2900 screening product offers the benefits of heat protection, glare protection, golf ball protection, and an insect guard all while giving you an added level of privacy. All Insolroll screen and shade systems are custom-made to your specifications and will ship in 4-5 business days. Start by comparing options and when you're ready, get a free quote. Get inspiration for your deck project by browsing our Insolroll Window Shade System Image Gallery.